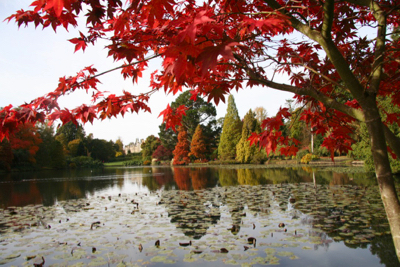 As the days grow shorter and things start to wind down in the garden world, there’s still a lot to enjoy before Autumn truly kicks in. 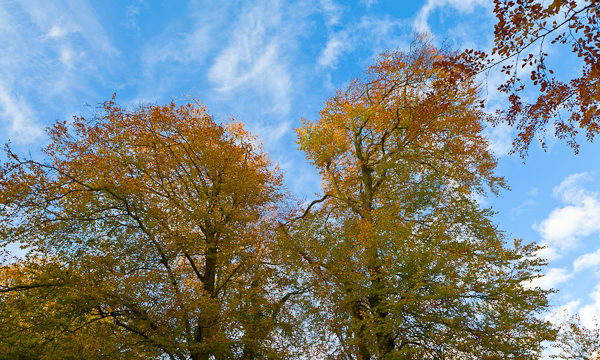 Here are some of my top planting recommendations for October. If I had a pound for everyone who has told me they love Verbena bonariensis I’d be a rich woman! 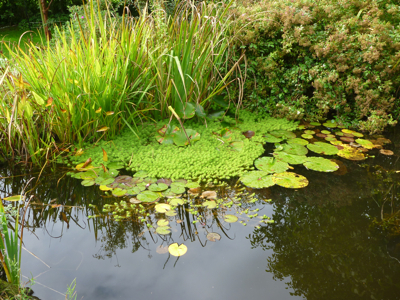 Its popularity is hardly surprising really as this is a plant that goes on and on – and on! It starts flowering as early as June, and often goes on into November. Talk about good value. It’s tall (at approx. 1.2m) but one of those very useful plants that adds height and hazy colour to a planting scheme without blocking out views or becoming too dominant. It’s also a real magnet for bees and butterflies, so it’s a wonderful plant for wildlife gardens. Verbena bonariensis is the sort of plant I like to sprinkle through borders, but it works equally well when grouped en masse. Thriving in sunny sites with well-drained soil, the lavender flowers of this Verbena are a perfect companion for ornamental grasses such as the equally statuesque Stipa Gigantea, and other late flowerers such as Perovskia and Gaura lindheimeri. I also like it mixed with orange or red Dahlias for a real splash of vibrant late summer colour. The only downside to Verbena bonariensis is that it’s not totally hardy (so it may need protecting in winter with mulch, and not cutting back till spring to avoid dieback). It does seed around quite freely though, so even if you lose the original plant, chances are there’s another one popping up nearby to take its place. 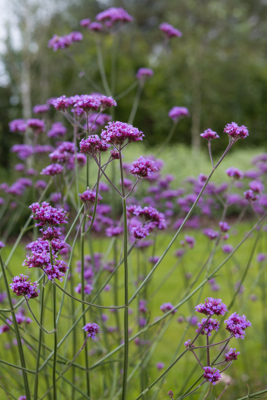 If you’re looking for something shorter, then the newly introduced Verbena bonariensis ‘Lollipop’ may be of interest, standing just 60cm high. I think the flowers are a touch more pink than the original, but to be honest it’s virtually identical – only at half the height. This is a versatile plant that loves moist alkaline soil in partial shade, although it will tolerate full sun and a reasonable garden soil. 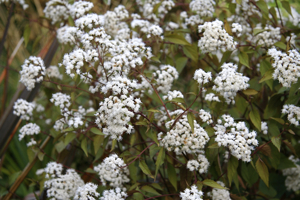 Commonly known as ‘White Snakeroot’, it is often still sold under its former name of Eupatorium rugosum ‘Chocolate’. 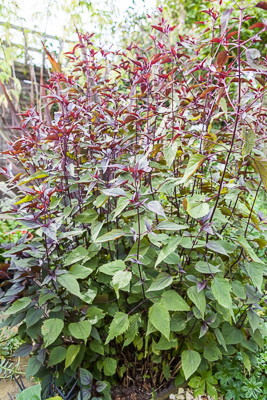 Whatever you call it, it is an easy to grow herbaceous perennial with lovely chocolate-brown tinged leaves topped with fuzzy white flower heads that are very attractive to bees and butterflies. ‘Chocolate’ has a bushy upright habit (only starting to flop a bit right at the end of the season) and it grows to about 1m tall, with a spread of 60-80cm. You will find information saying it flowers from July to September, but in my garden it definitely only starts to flower in late September and early October. But to be honest the flowers are almost incidental – this is a plant to grow for its coloured foliage and good upright shape all summer long. Looks great with Knautia macedonica and ornamental grasses, such as Miscanthus sinensis ‘Gracillimus’. Few flowers have the ability to linger late into the year. But as autumn progresses the gentian-blue heads of Ceratostigma willmottianum attract butterflies in search of the last nectar before hibernation, and the foliage turns a rich russet-red. This presents opportunities for zazzy combinations with orange-reds, such as Crocosmias like ‘Star of the East’, or more muted schemes with Aster novae-angliae ‘Violetta’, and Penstemon ‘Raven’. 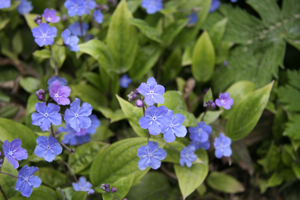 Ceratostigma (commonly known as ‘hardy plumbago’) is a small deciduous shrub growing to about 1m high with a similar spread, and grows best in a sheltered sunny situation, in free draining soil. If a hard winter kills the top growth it can be cut hard back and should shoot again from the base. You can also find a spreading ground cover version of this plant in the form of the herbaceous Ceratostigma plumbaginoides which should be cut back over winter when all the flowering action is over. 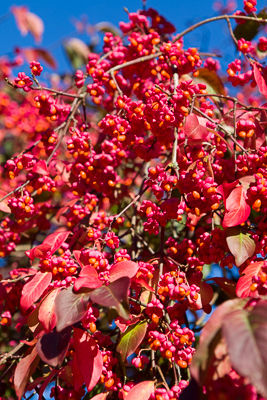 Euonymus europaeus, commonly known as the spindle tree, starts to go psychedelic this month, with its fruits deepening to hot pink before splitting open to reveal red-orange berries which are very attractive to birds. As the fruits begin to split open, the foliage tries to keep up by turning its own shades of purple, hot pink, and deep red. It is an easy spreading shrub (or hedging plant), tolerating a wide range of soil conditions and will flourish as long as it has at least part sun, although the show of berries and foliage will be best in full sun. Euonymus europaeus ‘Brilliant’ is a very narrow, upright selection, reaching a height of 2 – 4 metres. 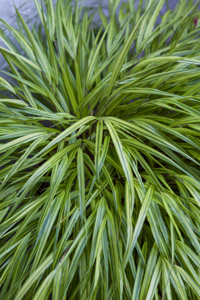 Hakonechloa macra ‘Aureola’ is one of the most gorgeous ornamental grasses, and also one of the few that prefers shade. 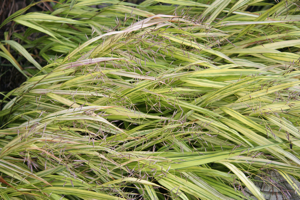 This deciduous perennial grass forms a neat clump of arching stems with cascading layers of narrow leaves striped with bright yellow and green that are reddish-tinged in autumn and early winter. 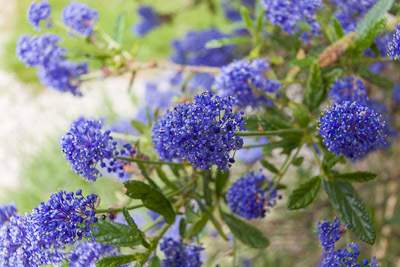 Easy to grow in moist, well drained soil, reaching about 50cm in height and spread. Looks good with Geranium such as ‘Rozanne’ and works well as ground cover. I like to grow it in pots in shady areas where it really brightens things up and contrasts beautifully with the red foliage of Japanese Maples. 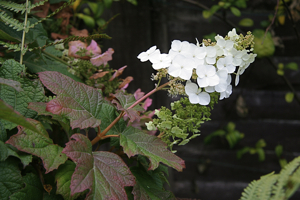 The oak leaf Hydrangea is a statement shrub for a partially shady area, but it can get quite large so it needs sufficient room to spread (1.5m +). At this time of year the large leathery leaves start to turn deep purple and its long-lasting creamy white flowers gradually change through shades of faded pink as they die. 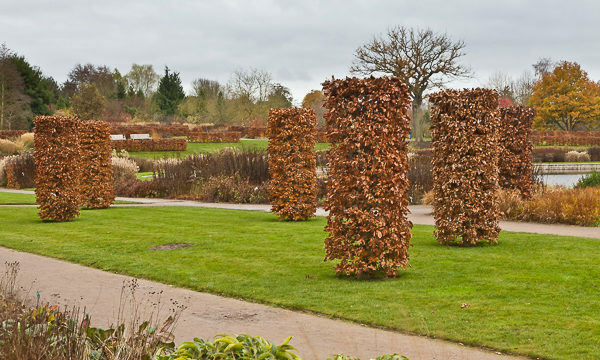 The leaves hang on quite late into the winter and the cinnamon-coloured stems are attractive in their own right too. This is a Hydrangea that copes well in slightly drier conditions than most other Hydrangeas so all in all I find it a very worthwhile shrub to grow. Why thank you Avid Gardener!